Mu Yunqiu, female and graduated from Shanghai Jiaotong University,the department of History & Philosophy of Science, with her Master’s degree and Doctor’s degree in History of Science in 2005 and 2010, respectively. 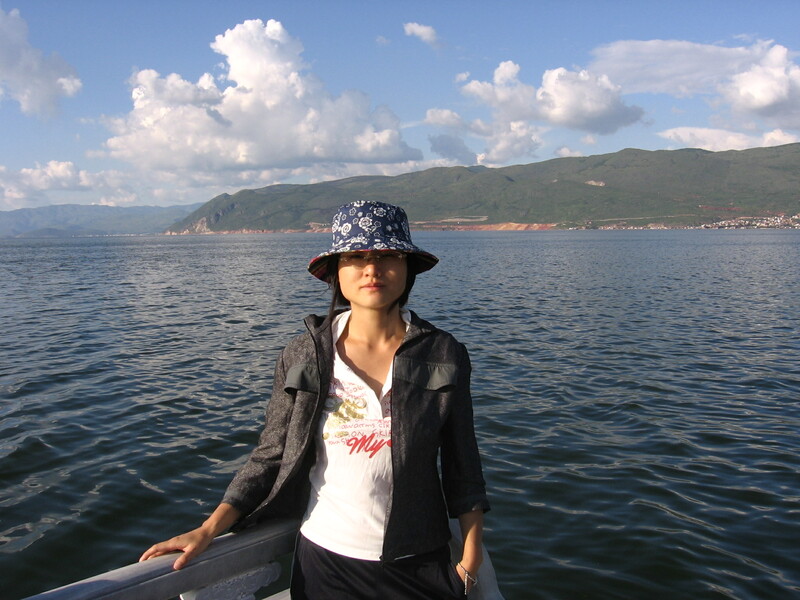 From 2010 to 2012，she was a postdoctoral fellow in theManagement Science and Engineeringof Shanghai Jiao Tong University. At present, she is a lecturer in the School of History and Culture of Science. History of Astronomy, especiallythe study of the relationship between science and fiction in the history of science. Yunqiu Mu: A distinctive moon astronomy treatise: review of Kepler’s Dream. The Chinese Journal for the History of Science and Technology. 2007.28（3）:291-295. Yunqiu Mu and Jiangxiaoyuan：The debate about searching for extra-terrestrial intelligence in the history of science. Journal of Shanghai Jiaotong University .2008，29（6）：52-59. Mu Yunqiu and Jiangxiaoyuan. The New Cosmogony：a solution of Fermi paradox，851M：our science and culture series（3）. Edited by Jiangxiaoyuan Liubin. Shanghai: East China Normal University Press. 2008-9.105-129. Mu Yunqiu and Jiangxiaoyuan.Science, Fiction and Hoax：The New Interpretation for the Great Moon Hoax of 1835 in the History of Science，Journal of Shanghai Jiaotong University .2011-10.19：76-81. Jiangxiaoyuan and Muyunqiu. The significance of hawking: god, aliens and the reality of the world. Journal of Shanghai Jiaotong University .2011，19（1）：27-32. Jiangxiaoyuan and Muyunqiu. The Border Between Science And Fiction：The Theoretical Possibility of a New History of Science，Journal of Shanghai Jiaotong University .2012，accepted. Mu Yunqiu and Jiangxiaoyuan.Several astronomical observations considered as signals of mars at the late nineteenth century: debates and influences. Studies in the History of Natural Sciences. 2012，28（4）：109-113. Mu Yunqiu and Jiangxiaoyuan.The scientific explorations and influencestrying to communicate with hypothetical martian civilization at the late nineteenth century. Journal of Dialectics of Nature.2012，31（2）：248-255. Published over 10 book reviews and articles in newspapers or periodicals, such as Shanghai Wenhui Reading Weekly and Science Monthly（Taiwan）since 2005. Compiled Galileo・1632, one of memorable years in history of science seires, which is edited by Jiang Xiaoyuanand published by Shanghai Juvenile & Children's Publishing House on 2008. Translating An Interview with Stanislaw Lem（by Raymond Federman）into Chinese, which is included into 851M：our science and culture series（3）edited by Jiang Xiaoyuan and Liu Bin (Shanghai East China Normal University Press , 2009 , 201-217).